When you wrote a letter to the White House or the State Department during the 1950s, the reply you got was surprisingly personalized. At the very least, folks who wrote in to share their ideas about the Suez Crisis, for example, were thanked for their thoughtful insights into the matter and assured the State Department was giving it serious attention. "We share your belief that there need not be war in the Holy Land," Dr Evans was told, while a student from Oberlin learned that an internship would give him "an excellent opportunity to fathom the not-so-mysterious working processes of our Department of State." Other letters from citrus growers, rabbis, Yale Professors and random Minnesotans were all answered with the same tone of polite sincerity. 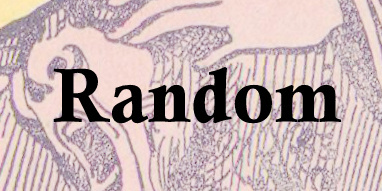 Included below are two letters that stand out. The first is to a man who wrote in with an original suggestion for the Palestinian refugee crisis (or perhaps not so original, given that something quite similar had been considered for Jewish refugees). The second is to one of the many people who took the occasion of the Saudi King's visit to Washington to criticize the fact that, among other things, an American ally refused to allow Jewish citizens to set foot on its territory. 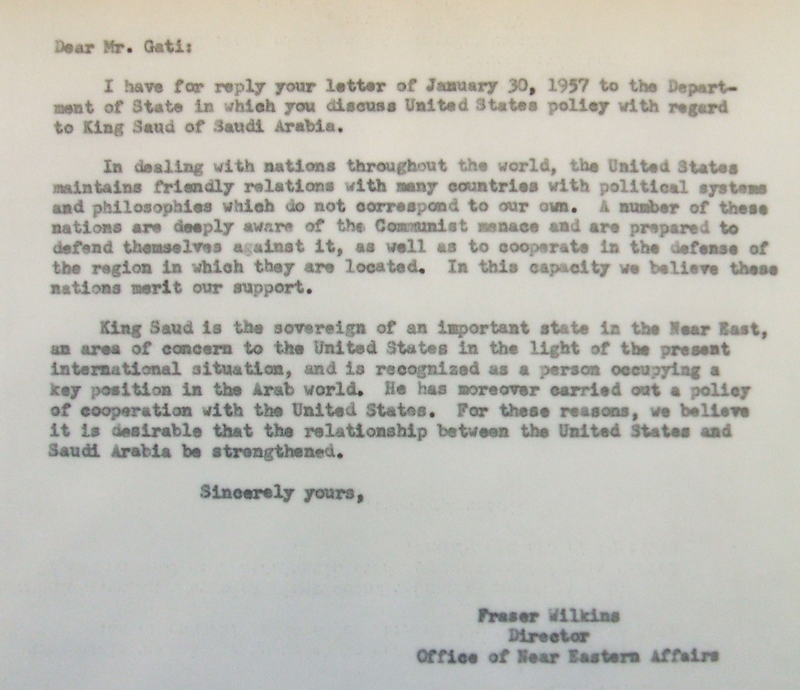 While the Department assured people this was indeed an issue they had taken up with the King and would continue to press him on, they also, as the letter below shows, defended the country's relationship with the Saudi regime in a manner that seems somehow more honest than what might be expected today.